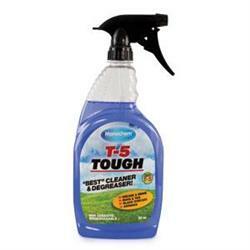 Super concentrated multi purpose cleaner and de-greaser. Great for use on a variety of surfaces. Cleans Plastic, Fiberglass. Metal, Awnings, Chrome, Vinyl, Upholstery and Carpets. This flexibility makes it convenient reducing the need to buy multiple cleaners.